Zonta International is comprised of more than 1,200 Zonta clubs thriving in 66 countries and geographic areas worldwide. With more than 33,000 members, Zontians from all over the globe are fulfilling Zonta’s mission to advance the status of women worldwide. A Zontian is a member of an individual club. Zonta International is led by four democratically-elected officers and seven elected International Directors who make up the Zonta International Board. Board members are elected by ballot vote at the biennial convention and take office at the close of the convention. It is the role of the Zonta International Board to determine policy and provide general oversight of Zonta International; the role of Zonta International Headquarters staff is to implement that policy. 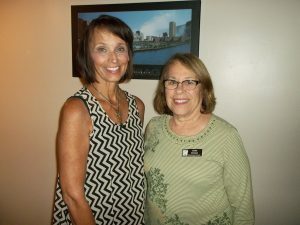 Zonta International Committees play a key role in assisting Zonta International in achieving the biennial goals in coordination with the Zonta International Board. Committee chairmen and members are appointed for the next biennium by the President-Elect with the approval of the Zonta International Board. The Zonta International Foundation carries out the charitable objectives of Zonta International and is organized exclusively for charitable purposes. Zonta International is the sole corporate member of its Foundation. The affairs of the Foundation are managed by its Board of Directors who also serve from time to time on the Board of Zonta International. For administrative purposes, Zonta International is divided into 32 districts worldwide, as determined by the Zonta International Board. Each district is administered by an elected district board led by the governor. The district board assists clubs and promotes the programs of Zonta International within their district. With majority approval of the clubs affected, district boards outline boundaries and establish areas within their districts to implement administrative functions. Each area is administered by an area director, elected by the clubs in that area. The individual Zonta club is the basic organizational unit of Zonta International. Clubs are organized with 20-100 members or Zontians, who pursue Zonta’s mission and goals through service and advocacy. Each club is under the direction of an elected club president and elected club board.